Prosperity Now President Andrea Levere kicks off the Summit with reflections on how adversity reveals innovation, collaboration, and commitment; what the new wave of activism is producing; and what challenges remain in our pursuit of financial stability, wealth and prosperity. Andrea’s remarks will be followed by a panel of thought leaders who are collectively defining the future of social and economic justice in a cross-sectoral movement. 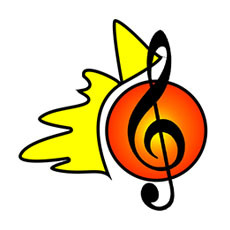 We’ll also be inspired by reflections from a community leader and by the music of SongRise. This session is sponsored by Prudential. Anne Marie Burgoyne is the Managing Director, Social Innovation at the Emerson Collective (EC),where she manages the investment process for non-profit social entrepreneurs and innovators in a wide array of sectors, including education, immigration, social justice and the environment. Her work spans across domestic and international geographies with a focus on strong leaders and strong models that have the capacity to scale and create systems change. Before joining EC, Anne Marie was the Managing Director of the Draper Richards Kaplan Foundation (DRKF) where she made early-stage grants to high-growth, high-impact non-profits including Education Superhighway, Grassroot Soccer, Living Goods, The Mission Continues, One Acre Fund, VisionSpring and Welcoming America. 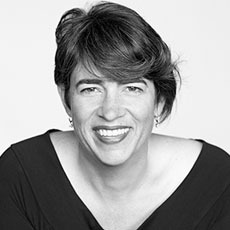 Anne Marie is on the governing boards of College Track, Girl Effect, Stand for Children, The Management Center and Youth Speaks, and she is on the advisory boards of IDEO.org and REDF. She teaches a class at Stanford’s Graduate School of Business called Making Social Ventures Happen by Attracting Financial and Human Capital. Anne Marie received her MBA and a public management program certificate from Stanford University’s Graduate School of Business. She also holds a BA in English and a BS in Economics from the University of Pennsylvania and its Wharton School, respectively. She lives in San Francisco with her husband and two terrific girls and enjoys walking, yoga, cooking, cabaret singing and container gardening. .
Bill Bynum is CEO of HOPE (Hope Enterprise Corporation, Hope Credit Union and Hope Policy Institute), a family of organizations dedicated to strengthening communities, building assets and improving lives in Alabama, Arkansas, Louisiana, Mississippi and Tennessee. HOPE is a leader in shaping policies and practices that benefit the nation’s persistent poverty areas. Previously, Bynum helped establish nationally recognized programs at Self-Help and at the NC Rural Economic Development Center. Bynum serves on the boards of the Aspen Institute, NAACP Legal Defense Fund, Prosperity Now and William Winter Institute for Racial Reconciliation. He previously chaired the Consumer Financial Protection Bureau Advisory Board and the Treasury Community Development Advisory Board. 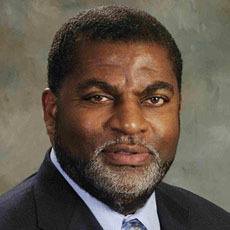 A recipient of the University of North Carolina Distinguished Alumnus Award, Bill has been honored by the Aspen Global Leadership Network, Opportunity Finance Network, Ernst & Young/Kauffman Foundation, National Rural Assembly, African American Credit Union Coalition, National Federation of Community Development Credit Unions and Wall St. Journal/Met Life Foundation. Jamie Kalamarides is president of Prudential Group Insurance, which produces and distributes a full range of group life, disability, voluntary and corporate and trust-owned life insurance. Previously, he was head of Full Service Solutions within Prudential Retirement. Kalamarides is widely recognized as a thought leader on public policy related to workplace benefits. He writes and speaks on financial wellness topics including #WorkandWealth and access to effective lifetime income solutions for all. He is often quoted by industry and consumer press, and speaks frequently at forums hosted by the Aspen Institute, AARP and the U.S. Chamber of Commerce. Kalamarides serves on the board of Prosperity Now. He is a graduate of Colgate University and earned an MBA with high distinction from the Amos Tuck School of Business Administration at Dartmouth College. Andrea Levere has led Prosperity Now as its president since 2004. Prosperity Now is a private nonprofit organization with the mission of ensuring that everyone has the opportunity to gain financial stability, build wealth and achieve prosperity. Prosperity Now designs and operates major national initiatives that aim to integrate financial capability services into systems serving low-income people, build assets and savings, and advance research and policies that expand economy mobility for all. It operates the Prosperity Now Community, comprised of nearly 24,000 members who advocate for asset-development and protection policies, as well as the Taxpayer Opportunity Network, which represents over 1000 providers of community tax preparation services. In 2013, President Obama appointed Ms. Levere to the National Cooperative Bank’s (NCB) Board of Directors to represent the interests of low-income consumers. In 2017, Ms. Levere was appointed to the Community Advisory Council of the Federal Reserve System and was recently nominated to serve as Vice Chair in 2018 and Chair in 2019. She has been the Chair of ROC USA (Resident Owned Communities USA), a national social venture that converts manufactured home parks into resident-owned cooperatives since its founding in 2008. She is also a member of the FDIC’s Committee on Economic Inclusion, and Morgan Stanley’s Community Development Advisory Board. Ms. Levere served as chair of the board of the Ms. Foundation for Women from 2002-2005, after being on its board since 1998. 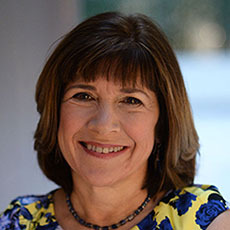 Ms. Levere holds a bachelor’s degree from Brown University and an MBA from Yale University. 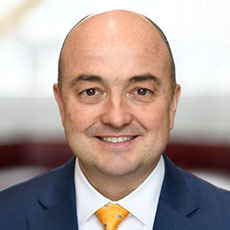 Andy Sullivan leads Workplace Solutions, which is comprised of Prudential Retirement and Prudential Group Insurance, two business units of Prudential Financial, Inc. Sullivan was previously the president of Prudential Group Insurance. He joined Prudential in 2011, with responsibility for the Group Insurance underwriting, claims and service organizations. 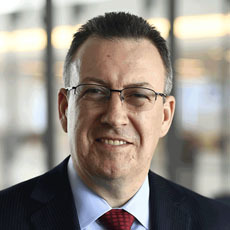 Prior to joining Prudential, he served as a senior vice president with CareFirst BlueCross BlueShield, where he was accountable for the individual and senior business segments. Previously, Sullivan spent eight years with Cigna, where he held a number of senior leadership positions. Earlier in his career, Sullivan held management roles at Diamond Technology Partners and DaimlerChrysler. In 2016, Sullivan was elected to the board of directors of the New Jersey Chamber of Commerce. Sullivan earned his bachelor’s degree in mechanical engineering from the United States Naval Academy and began his naval career as a nuclear submarine officer. He holds an executive MBA from the University of Delaware. Shenell Thompson is the Founder of Brick by Brick Consulting NC. The primary focus of Brick by Brick is to facilitate open dialogue, while addressing the implicit bias, systems and barriers that perpetuate disparities in education, healthcare, social justice and financial stability for households of color and women. She leads this work through strategic planning, leadership development, motivational speaking, financial capabilities training and financial coaching. 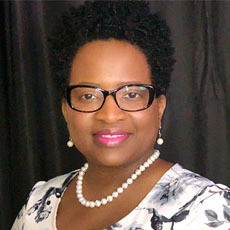 With more than 15 years of experience as a financial educator, certified credit counselor, housing counselor and financial coach, Shenell found her passion in asset building efforts and serves on the steering committees of the North Carolina Asset Alliance, Southern Regional Asset Building Coalition and Prosperity Now. She sounds a clarion alarm to organizations, encouraging them to identify the systemic barriers and policies implemented that negate the success of those they serve. 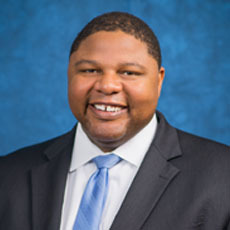 Napoleon Wallace serves as the Deputy Secretary for Rural Economic Development and Workforce Solutions at the North Carolina Department of Commerce. In this role, he manages the Department’s support for North Carolina’s rural communities, leading a team of specialists that help communities make the necessary preparations and infrastructure investments to attract business and spur economic growth. He also directs the Department’s efforts to strengthen the state’s workforce programs and streamline the service delivery to both jobseekers and employers. With more than 15 years of experience in finance and community economic development, Napoleon has served in various roles of increasing responsibility throughout his career. Prior to his current role, he served as the Social Investment Officer at the Kresge Foundation, focusing on making program- and mission-related investments in health and human services. Earlier in his career, Napoleon served on the executive staff at Self-Help, where he managed several community and economic development initiatives, including small-business lending, financial institution turnarounds, mergers, portfolio acquisitions, community development real estate projects and retail strategy. Napoleon also worked as an investment banker with Wachovia Capital Markets (now Wells Fargo Securities) and as a community banker with M&F Bancorp’s Commercial Credit group. SongRise is a DC-based women's social justice a cappella group. SongRise’s goal is to inspire action through song. We use our music to support the fight for social change and advocacy. We endeavor to encourage perseverance, raise awareness and break down barriers. We hope that our listeners will walk away feeling energized to continue the fight for social justice or to start contributing to a cause they are passionate about.